IOSH – Why choose an IOSH training course? Did you know that you can complete your IOSH Manging Safely and Working Safely courses online? Both of our online courses allow you to study at your own pace, give you 24/7 access to materials and have a 100% pass rates. Plus, you also receive full tutor support included in your course price. Both courses are designed to highlight and outline risk management and the culture of safety in a workplace environment. An introduction that emphasises the importance of personal responsibility. The definitions of hazard and risk, using everyday language and familiar examples, so no confusing jargon. Identification of common hazards, including noise, slips and falls, work traffic. Improving safety performance — bridging the gap between management and the workforce, with a focus on contract work, emergency procedures, health checks, etc. 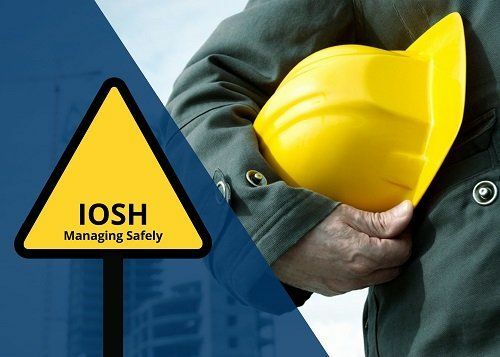 To explore more about the benefits of taking an IOSH course, visit our main IOSH Safety Training page.